Lauren Collier, Associate AIA serves as Virtual Design and Construction (VDC) Manager at SSOE Group, a global project delivery firm for architecture, engineering, and construction management. With 11 years of industry experience, she is a leader in SSOE’s VDC initiative and champions corporate BIM/VDC standards and develops innovative new technology strategies with her team. Her creative passion lies in developing constant improvements and innovative model/data use solutions for SSOE’s design and construction operations. She leverages technical tools for improved efficiency, performance, and quality in project execution. Lauren holds a Master of Art and Architecture from Savannah College of Art and Design and a Bachelor of Architecture from Miami University. 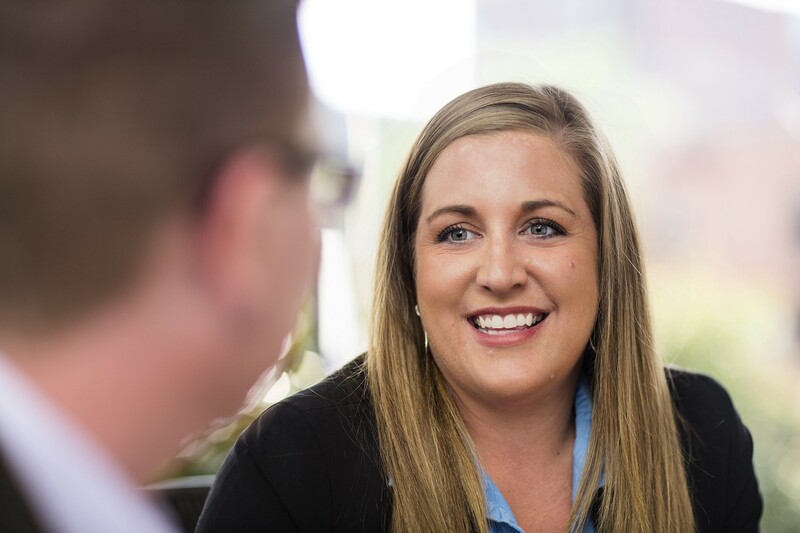 Modelo spent some time learning about Lauren came to join SSOE and about her current role as VDC Manager. Early on, as far back as high school, I excelled in art but also in math and science. It was before STEM was being promoted as heavily as it is today. I had several excellent teachers that helped guide me in the direction of architecture and engineering. After visiting a couple schools I realized that the architecture curriculum aligned well with what I enjoyed. That came down to problem solving. The architecture career is about problem solving for the built environment. You’re able to use your creativity skills to provide solutions for your clients, be that for hospitality or commercial or industrial. Each one of the building types have a different solution. I studied at Miami University for my undergraduate. I went to Savannah College of Art and Design for my Master’s. After college I actually worked for a healthcare firm and did healthcare architecture for some time. SSOE was my first big internship when I was in undergrad. They called me up in the spring of 2007, after having graduated with my master’s the previous year, and asked if I was interested in a technology position. It had to do with the introduction and the implementation of BIM technology throughout their organization. They knew that I already had a connection with the architectural department from my days as an intern and many of the same staff members were still there. That took me down this technologist avenue. When I came back to SSOE, my main responsibility was the implementation of BIM in the architecture department and providing them unique solutions to meet the demands of the clients. Since then, I’ve continued to stay connected to architecture. But I would say I moved on into the project execution realm. When I say project execution it goes beyond just using BIM. 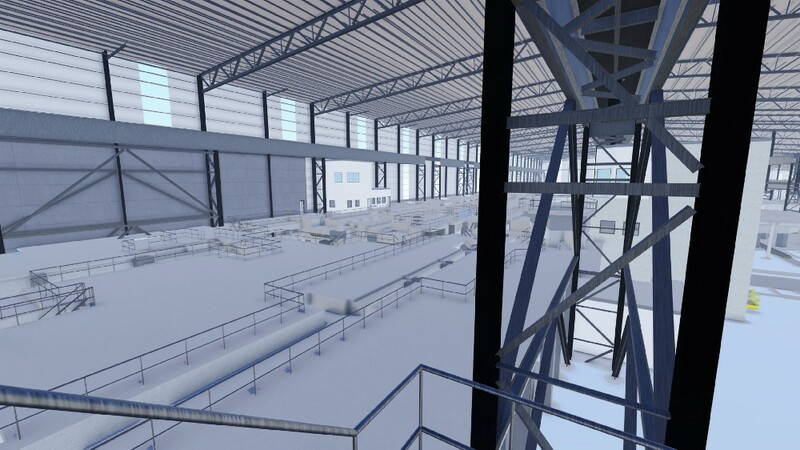 It’s developing processes, using other technologies, and syncing them with BIM and other modeling techniques to improve our overall efficiencies. Right now I have a team of other technologists with diverse backgrounds and our main responsibility goes back to coming up with creative problem solving solutions to deliver our projects. We develop a project execution strategy and we find the right technology to enable that strategy. For the first couple of years my main responsibility was technology and processes for the architectural department. I quickly grew out of that role and into leading people in that execution. I attended many technical conferences, I also joined the USACE (United States Army Core of Engineers) Industry Consortium where we defined standards for their BIM deliverables. It was exposing me to a lot of general contractors, other design firms of varying sizes, and expanded my experience and network. I decided that it was time for me to have a discussion with our Chief Strategic Officer about an idea that I had been developing. This idea had to do with going beyond using the model just for design documentation and was about pushing it into estimating, preconstruction, procurement, and construction. The design and construction industry had the potential for dramatically increasing productivity and eliminating waste by integrating our delivery model. We needed to be on the leading edge of this movement. I soon submitted a very rough preliminary business plan and research. We had lunch and discussed the plan in detail and I was given the green light to move forward.. He not only got behind this idea but offered to be my executive sponsor. After that opportunity, additional opportunities presented themselves. Through this process, I realized that even though I was a young professional, that didn’t mean that I had to keep my ideas quiet, I had a voice and it was being heard. It boosted my confidence. Since then I’ve gone from being a team leader, to a section manager, and I now just recently got another promotion to manager of our Virtual Design and Construction (VDC) department, and as nervous and excited as I am about this promotion, I realize that I’m doing all the right things. Our vision for our department, we have about six people, is focused on technology and processes to help influence project execution. Our team is focused on our EPC/M projects within our construction arm. EPC/M is engineering, procurement and construction/construction management. We have more skin in the game and they’re higher risk projects. We’re doing the construction management and we’re buying the equipment — -and sometimes the project through commissioning and start-up. The use of technology is helping us drive huge efficiencies. Initially, we had been focused on pilot projects. Over the last year, those pilot projects have created some proficient standard processes that we are now implementing at an organizational level. One of the technologies helping drive efficiencies is reality capture. I would define reality capture as using laser scanning or photogrammetry technology to capture existing environments. 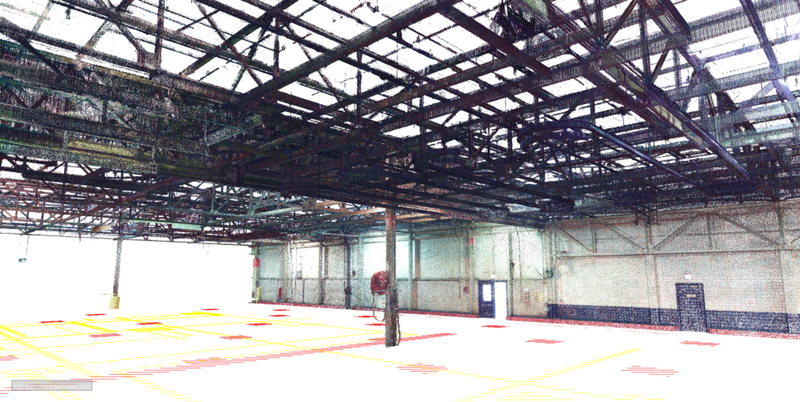 What we’re doing is taking this point cloud data and manipulating it and integrating it for our renovation work. This goes with using traditional LIDAR scanning equipment, drone data, and we even have a handheld device that takes a series of photos that we stitch together into a point cloud. We’re using all three types to capture existing conditions. With these technologies, the accuracy is no longer a guessing game because we know what we’re building and where. It’s starting to change the way our documents look, how we communicate with contractors — — how we communicate with our design team — -and we’re pushing that technology to the limit. We’re very excited to see what comes next in this realm. That’s been a very big win for us over the last couple of years. We’re now going into integrating the model with estimation databases. I have a data scientist, even though that’s not his job title, who will help us integrate that big data within the model and try to drive efficiencies with that. We are a bunch of mad scientists working together to solve our projects’ needs. Project planning is extremely important to us. We have integrated not only technology into early project planning, but we’re integrating estimating and safety. We want to make sure that we’re going in with a good plan in place on how we’re executing projects so that there are no surprises. No surprises to us, no surprises to our client, and no surprises to any of the other players in the game. Quality is a big and having a good plan going into the project matters. During execution, we take that solid plan and it helps us in the execution of the technology so we’re not lagging behind. For instance, if we know we’re going to be doing certain types of modeling or we need to be scanning, we’re executing those things before people are waiting on them. When that’s done, it’s set up correctly, and the design team doesn’t have to worry about any type of glitches because they have the confidence that it was already set up properly. Our vision statement is about project delivery. “World Class people, delivering world class projects, to world class clients, and we are going to be innovative in how we do it. We need to be agile and flexible. Things happen and we need to be able to adapt to that. Most of our team’s projects are confidential, industrial clients so they have a lot of proprietary information to protect. On a recent project, we had to adhere to a very tight, very aggressive schedule. The timeline we were given was very short to integrate an equipment installation. We had to perform demolition, rearrange production lines, and install three large pieces of equipment. The building was dated. There wasn’t relevant documentation. We had a rough floor plan from the client. We decided to scan the facility. With that scan data, we realized that the initial design of these large pieces of equipment wouldn’t fit because the columns were off in the floor plan and the existing roof steel was too low during a design review. Upon 3D model review, we realized that the height of the equipment wouldn’t work, so we had to work with the vendors to adjust the sizes for installation. These three pieces of equipment were long-lead items and if they didn’t show up on-time, correct, and ready for installation, we would miss our tight window for installation. If this were to occur, the client would not be to start production and therefore would miss production deadlines. Due to our technical strategy and overall execution, we were able to finish the project a week and a half ahead of time resulting in extra money saved back to the project. We planned the technology, we planned the project execution, we handled the construction management, and we found the critical issues ahead of time so that they could be addressed. It was a very successful project on the backend. Another example is beginning to estimate quantity take-off in construction before the design is complete. On this project, we were tasked with replacing roof equipment while the plant was operational. Going into it, we knew that we needed to align the support systems below the roof to be able to hold this new equipment so we scanned and modeled a scenario. We quickly estimated the quantities, realizing that we could reduce the amount of steel based on the platforms, so we came up with another design solution. We were able to calculate that with our quantity kick-off methodology, allowing the client to benefit from these design savings realized as a result of us performing a rapid design scenario. We are currently in the execution phase. You want to use the right tool for the project. Sometimes you don’t need a nail gun, you just need a hammer, as my co-worker always says. We are very fortunate to have multiple BIM and CAD tools here at SSOE. We have our standard ones that we use regularly. We use a lot of AutoDesk products. At the beginning of a project we have to identify what the needs are for the client and project. In order to do a lot of our VDC processes, we need that BIM model it is our virtual design platform. It is a standard practice on large and small projects here at SSOE. We are modeling all disciplines: architectural, structural, mechanical, electrical, process, and civil because we are using those models not only to create construction documents but we’re using them for planning, coordination, quantity take off, and 3D design reviews with the client. It’s not just about looking at a set of drawings or 2D documentation when we’re reviewing. It’s about immersing the client and the project team in the design. We’re continuing to push and improve that concept. The next step is moving the model beyond design into the fabrication level and that’s where you’re able to get the construction level coordination that you may not get if you’re just doing design. When you get into construction, you’re starting to put the pieces and the parts together. That’s where I’ve seen a big opportunity for software companies. It’s about integrating all fabrication level models because in this stage you’re getting into the different model platforms. One platform doesn’t do it all well. And that’s when you have to rely on other software to aid in interoperability. It is extremely important that this federated model be accessible. It’s starting to introduce ideas like cloud platforms. It’s making it easier and acceptable for all of the project team to look at it globally. We’re at a certain point where some of our clients will allow us to use that type of technology and computing power, but we have a lot of proprietary clients where we can’t. Their information isn’t allowed to be off of our servers or encrypted drive. We continue to push our 3D world, but now we’re coming to a point where the infrastructure that we’re utilizing is bringing us to a fork in the road. We want the infinite computing power that cloud applications can offer us, but a majority of our clients aren’t yet comfortable with this. Finding opportunities to use cloud computing and demonstrate data security for our clients will give our teams and projects great advantages. You’re noticing a change in the delivery method of projects, from traditional design projects to design-build. A more recent trend we are starting to see are called joint ventures or IPD (integrated project delivery). These create shared risk and reward for all parties and the benefit is better decision making and quality, and a lot of 3D technology is the collaborative nature of it. The ability for all disciplines to collaborate with all design players, coming together to make better decisions, to build a better project so that we can reduce schedule and reduce risk for the owner is a game changer. You’re going to see that technology is going to continue to drive a lot of those efficiencies. The biggest change in the construction industry will be for the players that can stay above the strategy curve in project execution and can use technology as a strategic advantage to execute those strategies; they will be the firms on top. I do believe one day that there will be a 3D deliverable. Code officials and permitting agencies across the country and in different states are starting to allow us to submit 3D models for permitting. Eventually, I see owners requesting that our deliverable be a model with these standards. We are going to have to adjust our ability to check and verify this 3D deliverable. Currently, we have a client who requires scanning at the beginning and the end of their projects because they want to capture the existing conditions at the beginning and the existing conditions at the end. They know that the model isn’t going to stay up-to-date throughout the construction process. They want to have the data available to them in 3D. The industry is shifting. I still think we’re a couple years out. Not only within the AEC industry, but across the industries we serve, I foresee big data becoming the next trend. 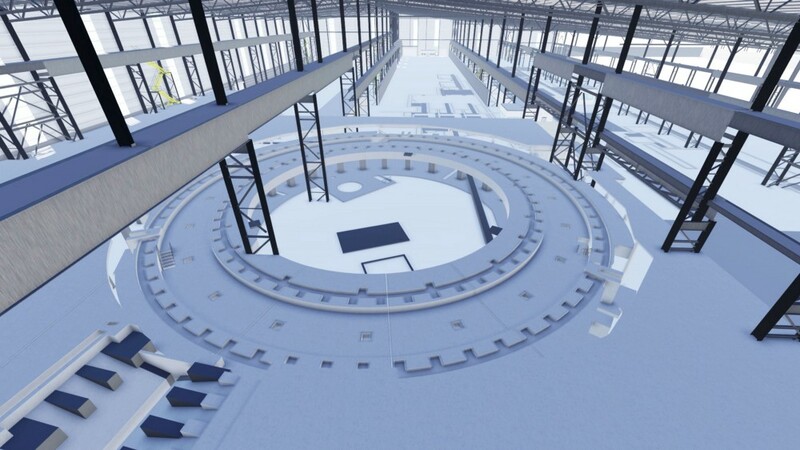 It’s not just putting all of this information in BIM, it’s integrating those model elements into other databases so that we can capture vital information for reporting and asset management. Right now, a lot of people are focused on building everything in this model, where I really think that the model is integrated into multiple databases. We just need ways of using that information. That’s going to be another change that’s on the horizon and the companies that are paying attention and are a little paranoid about falling behind are the ones that are going to move ahead. SSOE has made a commitment to innovation and technology resulting in the creation of my department and is allocating resources to stay ahead of the curve. Advice I would go back and give to myself would be, don’t be intimidated to stand up for what you believe in. It’s ok to push boundaries because you don’t know what opportunity can come from it. Failure is ok because it can be the best way to learn. It took me a while to believe that and understand that. If I would’ve known these things eight years ago, who knows what success I could have found sooner?